With so many businesses in every niche and industry imaginable having an online presence, it’s becoming harder and harder to cut through all of the noise and get your brand noticed. Just consider this fact: There are over 140,000 new websites launched each day! As a result, consumers are inundated with information and marketing messages. So how can you engage your audience, convert them into customers, and profile their interests so you can serve them better? There’s no “catch-all” approach to cracking the digital engagement code. But one thing we do know is interactive marketing techniques are increasingly more effective than traditional ways of engaging prospects. Interactive marketing uses fluid content to engage prospects with elements that change based on how the audience interacts with it. Examples of interactive marketing include contests, polls, surveys, calculators, and graders. These approaches to interactive marketing are all effective in their own way, but today we’d like to talk about marketing quizzes. 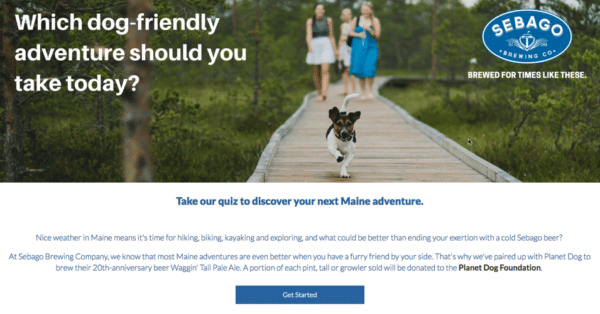 Why should you use marketing quizzes? According to BuzzSumo, the average quiz gets shared 1,900 times. Marketing quizzes are an excellent way to engage your prospects, convert them into leads, and profile their interests for future, targeted marketing campaigns. A well-structured marketing quiz can uncover information about your prospects in a way unlike any other form of marketing. By weaving strategically important profiling questions into a gamified quiz experience, your prospects don’t feel like they are filling in a questionnaire. Instead, they see the quiz as an enjoyable experience that is getting them closer to seeing their results. This underlying desire we have to see our results, compare them to our peers, and then share those results with our friends, is why quizzes are such a mainstay in marketing. Not to mention their viral potential in a digital ecosystem. Create a quiz once, and it can withstand the test of time. With a few minor tweaks here and there, of course. This “evergreen” nature of quizzes makes them extremely scalable. One quiz could be generating you leads, on autopilot, for years at a time. Before we talk about the questions you could be asking in your marketing quizzes, let’s take a look at the parameters you need to make your quiz perform. Evergreen. Ideally, your quiz will be something your business can use time and time again, which is why you want to make it as “evergreen” as possible. This means using questions and topics that are a cornerstone of the problems and aspirations of your customers and still will be relevant in 2 or 3 years time. In this way, the quiz is scalable and saves you time and money over the course of its long lifetime. In the events example above, it’s unlikely canapés will go out of fashion any time soon, so this quiz question is evergreen! Airbnb use easy-to-share quizzes to learn more about their customers. Conversational, punchy copywriting. Quiz participants are more likely to find the content memorable if the writing is easy and fun. Try not to sound sales-y or too corporate when crafting your questions. When brainstorming, think of how you’d sound if you were asking your best friend these questions. Short — with a positive ending. Human attention spans are short. The average online viewer has an attention span of a mere nine seconds. While you may have initially pulled the viewer in with a beautiful image and attention-grabbing headline, if your questions are long-winded, numerous, or just plain hard to answer, you won’t hold the viewer’s attention. If your questions are short and engaging enough, 96% of viewers will finish the quiz. Likewise, if you give the viewer a sad, adverse, or scary outcome to the quiz, they won’t hold a very positive view of your business upon completion and will be unlikely to share it around. 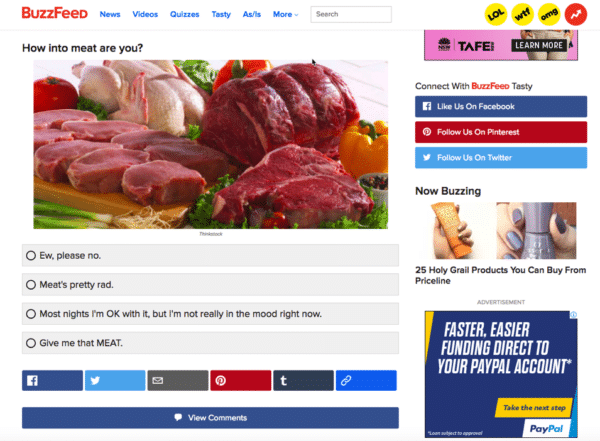 Now you have the bones, here is the meat… 15 hypothetical marketing quiz questions to give you some ideas for your next interactive marketing campaign. These 5 types of marketing quiz questions are designed to engage your audience, get their attention, and entice them to take the quiz. 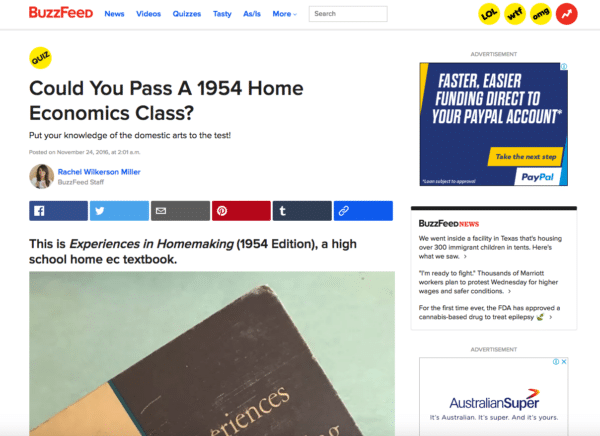 You will most likely use this style of a question as your quiz headline and in your marketing copy to attract clicks. The concept of curiosity is an internal emotion and an external motivator of our behavior and decision making, which makes it a powerful tool in a marketer’s psychological playbook. Quizzes use the concept of curiosity to tap into the core beliefs of participants by asking open-ended questions. Which Tasty Recipe Should You Make For Dinner Tonight? Quizzes tap into our universal curiosity. 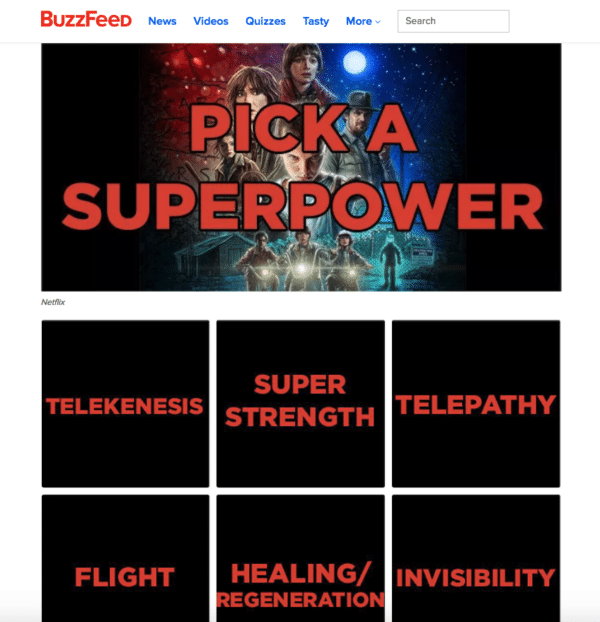 Which “Stranger Things” Character Are You Actually? Quizzes often take advantage of cultural trends. 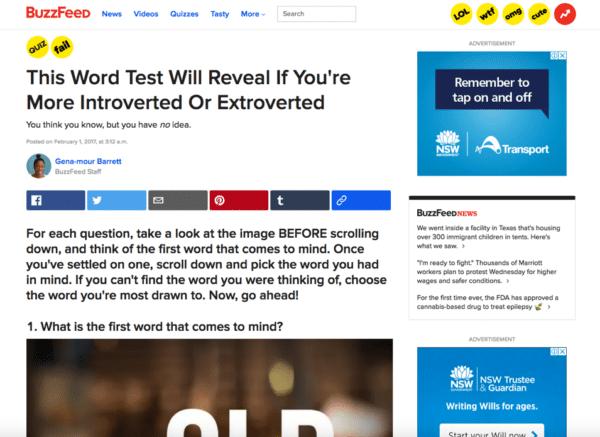 Marketing quizzes engage prospects when they connect with innate human desires or interests. What is a desire your ideal customers share? For example, a marketing services company could focus on the desire of their prospects by creating a quiz that talks about generating leads or growing a business. Or an NFL team may spark interest by asking what it will take for their team to make the SuperBowl. Which dog friendly adventure should you take today? Quizzes often tap into customers’ desires. Isn’t it funny that the things we hated during high school are often the things we love doing now? Tests and quizzes are one of those things. And despite trying to avoid them for the first 15-20 years of our lives, as we mature, our minds become more curious and are excited by a challenge. We want to test ourselves and see whether we’ve still “got it.” There is also a sense of safety in taking an online quiz that no one else in your direct circle will know the results of. That way, if you don’t do so well it doesn’t matter. But if you do get the results you were hoping for, you can share it on social media and show off! People love to show off their intelligence. Humans have an unfortunate desire to compare themselves with others. Whether it’s our looks, intelligence, success, or some other factor left to individual interpretation. This phenomenon has been amplified by social media and is a key reason people will complete marketing quizzes. Quizzes let people show off their talents. Quizzes can help people gain insights about themselves. The “outcome-based” marketing quiz is powerful for generating leads for service-based businesses or any business promising a customer transformation. You are selling the end outcome that your prospects desire. For example, let’s say you are a personal trainer. 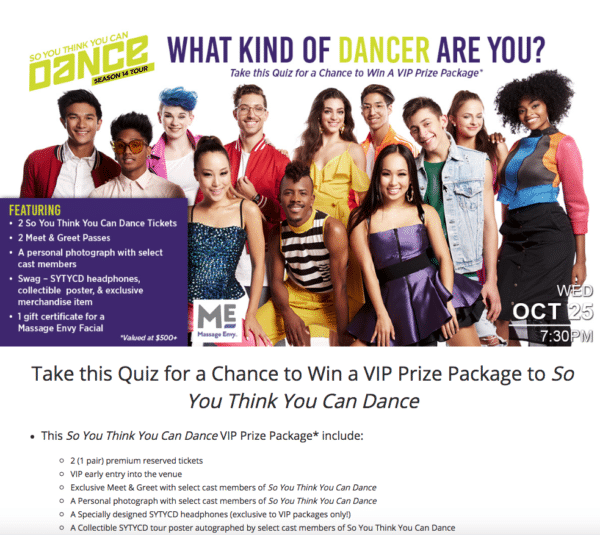 Wouldn’t a quiz that asked prospects to calculate their current diet and exercise effectiveness be enticing to your ideal clients? If you’ve done any homework about your customer base, you probably have a decent idea of who your target customer is. But, for even more detailed and comprehensive information, consider adding ‘profile’ type questions to your quiz to narrow down the data further and improve your follow up marketing campaigns. Apply these profiling questions to your industry. Obviously, if you are using marketing quizzes to attract leads then you’ll want to ask for participants contact information so you can market to them at a future date. But when is the best time to collect this info? Some quizzes will ask for contact information prior to someone answering the main quiz questions. This approach usually decreases conversions significantly. You are better off asking for contact information after someone has already completed the quiz and is excited to see the results. Only make the results available to those who are willing to provide their details. In addition to contact information, you may like to capture other demographic information about your prospects to help identify who they are. Depending on your business this may include things like their age, gender, or geography. You can use a quiz to collect useful demographic information. By using lead qualification questions in your quizzes you eliminate the chance of your sales team following up with low-quality prospects. Instead, they can focus on the prospects that best fit your ideal customer profile based on a set of criteria. Qualification questions also help you personalize the follow up for prospects because you have valuable information about what they want. 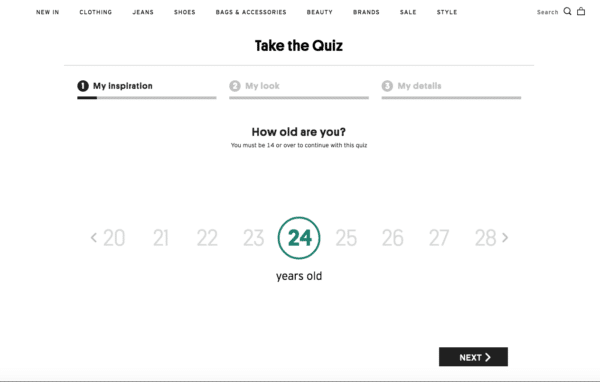 Global fashion brand Topshop use a quiz that acts as a personal shopper and unearths a prospect’s style and product preferences. Genius! A quiz can help you qualify leads. Also, Airbnb uses a quiz they call their “Trip Matcher,” asking participants a series of questions before recommending a destination and suggested trip itinerary. Quizzes are a marketing staple for Airbnb. Quizzes can help you accurately define the problems your customers face, enabling you to offer solutions to their problems more effectively in the future. What has stopped you from getting [outcome X] up until now? Quizzes, for the most part, are a top-of-the-funnel marketing activity used when you are trying to engage prospects who are not familiar with your brand. But they can also be used to engage prospects when they are much closer to a purchase decision. In fact, you can use the questions in your quiz to determine where each prospect sits in the journey. This information can then be used to qualify prospects and educate your sales team about how to approach each quiz participant. The point of a quiz isn’t just to engage viewers and capture relevant customer information. You also want to convert participants into qualified leads. Consider these five questions to entice viewers to give up their contact information. So far I’ve spoken predominantly about the content of the marketing quiz questions, but the design is just as important. Your quiz questions need to be really easy for participants to answer — and each question must have a finite number of options. This is why multiple choice questions with visually clickable images are used so often by big brands in their quizzes. They know, via testing and optimization, that this style of question attracts more responses and inevitably converts more participants into leads. 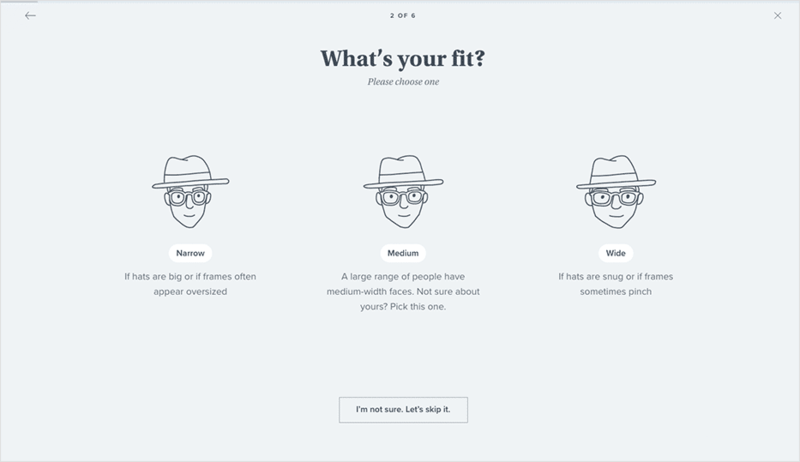 Warby Parker uses quizzes to help prospects choose new eyeglasses. In addition to using marketing quizzes to define your customers’ problems, you can emphasize their problems to move them closer to a conversion. Do this by asking leading questions that get participants thinking about their current situation and then finish the quiz feeling like they need to find a solution. This can accelerate the buyer’s journey by revealing key information to prospects about things they were only subconsciously aware of. The fear of missing out or being left out of something “cool” is prevalent in a social media world where all the highs of life are shared around the clock. Your marketing quiz can convert more prospects into leads and sales by focusing on this emotion and comparing participants with their friends, family, or colleagues. A well-constructed marketing quiz will give you a strong indication of how likely someone is to buy your solution to their problem. This is not necessarily one individual question that gives you the answer (although you should think about this as you are writing your questions). Based on your experience and data analysis, a participant’s demographic information, identified problem, qualification criteria, and stage in the buyer’s journey, should tell you their propensity to make a purchase. If you have multiple solutions or products to offer your customers, your quiz questions can subtly guide them in the direction of a purchase. 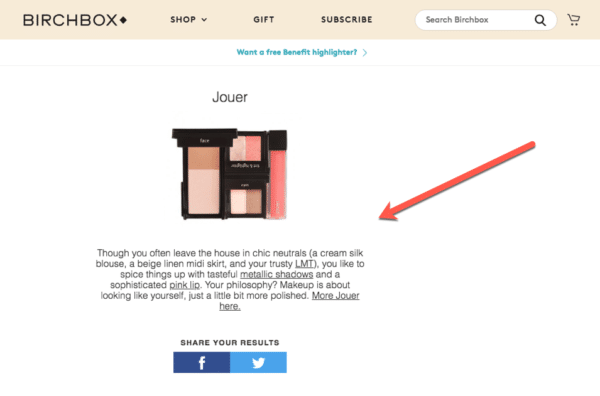 Quizzes can help you make specific product recommendations to customers. Quizzes are an excellent way to engage with your prospects, find new ones, and convert those people into qualified leads and customers. A smartly executed marketing quiz will drive people into your marketing funnel and the information you collect will accelerate the sales cycle. It takes time to test and optimize your quizzes for optimal performance. There are lots of moving parts outside of the quiz questions themselves that influence its success, such as your follow-up sequence and promotion of the quiz to relevant prospects. But once you get it right, marketing quizzes will be a game changer!